The map booklets used for our tours include detailed maps and cue sheets for the entire route. They can be adjusted to meet your daily requirements and overnight sites. 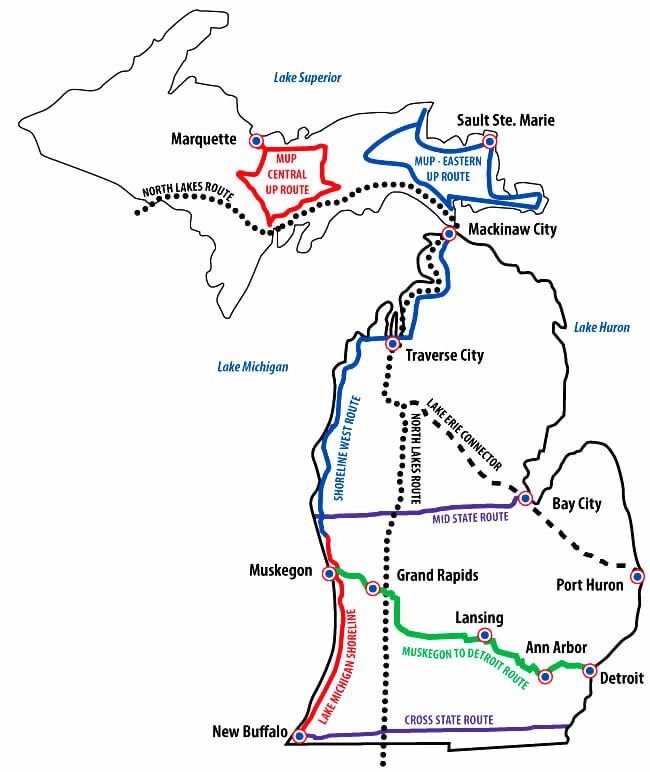 MDOT has developed multi-county regional bicycle maps. They show road type, traffic volumes, trails, points of interest and more to make bicycling across Michigan more enjoyable. Adventure Cycling routes, mountain biking trails, inland routes and a variety of free downloads. Bridge-crossing guidelines, other useful maps, books for sale and other resources round out our collection of bicycling info.